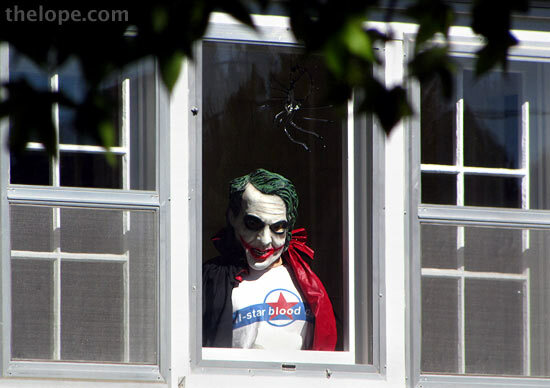 The Joker, wearing a Dracula cape and a shirt from what I assume to be a blood drive, watches passing traffic from a house in Hyde Park in Hutchinson, Kansas. I assume this was a mask was on a mannequin. If it wasn't, then someone was standing awfully still and watching me.